Top seed Rafael Nadal set up an intriguing US Open quarter-final showdown with Dominic Thiem after snuffing out a comeback attempt by Georgia's Nikoloz Basilashvili with a 6-3, 6-3, 6-7(6), 6-4 win on Sunday. The World No 1 looked like he would cruise to an easy win after pocketing the first two sets but the Georgian stepped up his game to take the third. The US Open champion would not be denied, however, and fired his seventh ace on match point to end the three hour, 20-minute tussle. Nadal said he will need to raise his game to get past the red-hot Thiem, who reached his first US Open quarter-final when he defeated 2017 US Open runner-up Kevin Anderson in straight sets. 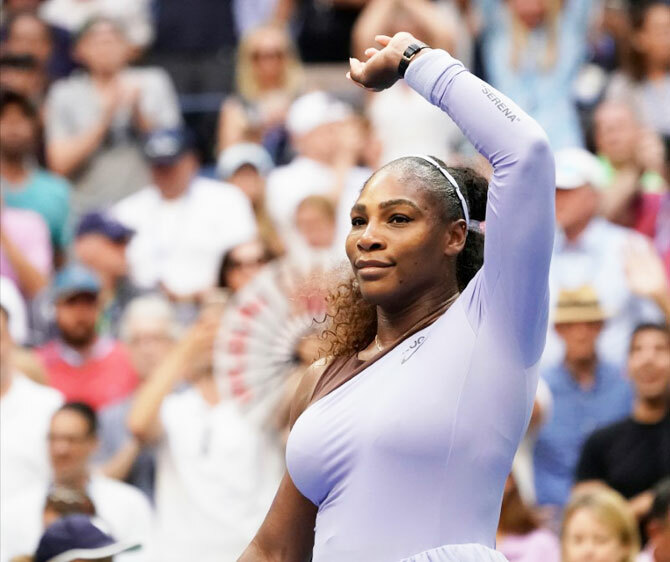 Serena Williams survived a scare from giant-killer Kaia Kanepi to claim a rollercoaster 6-0, 4-6, 6-3 win on Sunday and move into the US Open quarter-finals, a step closer to a record- equalling 24th career Grand Slam title. "I feel like just getting through it in general was all I'm looking at now and not looking back and just moving towards the next match," offered a relieved Williams, safely through to the last eight at Flushing Meadows for a 15th time. The pressure continued to mount as Kanepi, who had not strung together three consecutive tour-level match wins since her quarter-final run at last year's U.S. Open, broke Williams again to go up 5-2 before holding off a late rally from the 17th seed to level the match. "It wasn't easy, obviously, I think one thing she did well was change her strategy and started doing just a completely different game and gave me a different look to her game," explained Williams, who laid down 18 aces. "It's not tough, but I feel like I made one or two crucial errors and that cost me the second set, or at least cost me the first game. "It wasn't like my level went down tremendously. It was one or two points that made a huge difference in that second set." 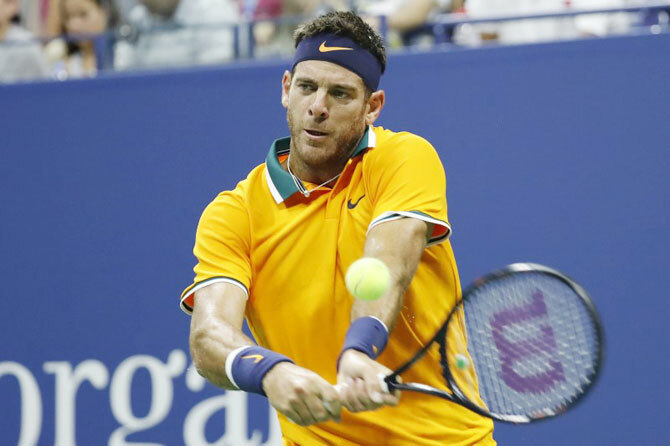 Third seed Juan Martin del Potro crushed Croatia's Borna Coric 6-4, 6-3 6-1 at the U.S. Open on Sunday to set up a quarter-final clash with American John Isner. "I think that moment was the key of the match," Del Potro said in an on-court interview. Eighth seed Karolina Pliskova fended off eight break points as she overcame Australia's Ashleigh Barty 6-4, 6-4 to reach the US Open quarter-finals on Sunday. Pliskova, who was a finalist at Flushing Meadows in 2016, committed 20 unforced errors to Barty's 30, and closed out the match when her opponent smacked the ball into the net. "It was very tough even though the score looks easy," Pliskova said in an on-court interview. "I’m very happy to be through." She added to reporters later: "I didn't have that many chances because of her game. "I didn't really feel like I had the chance and time to be aggressive. "She had a lot of break points, so it could (have) gone both ways today. It was really like couple points." "I really was feeling great that year. I'm feeling great now, too. But it was a little bit different story, 2016. I was, like, dark horse. Nobody was expecting me to get that far," Pliskova said. "I know she has a big game, but I have a big game too. I have a good serve. So I have some weapons too. There is always a chance for me." 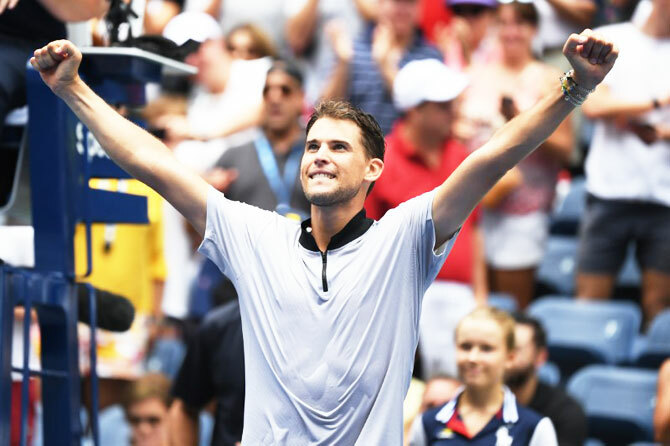 Ninth seed Dominic Thiem stepped up his bid for a first Grand Slam title on Sunday, toppling last year's runner-up Kevin Anderson 7-5, 6-2, 7-6(2) to reach the US Open quarter-finals for the first time. "One of my best matches ever," Thiem said of his dazzling performance in an on-court interview, calling his quarter-final berth "a dream coming true". 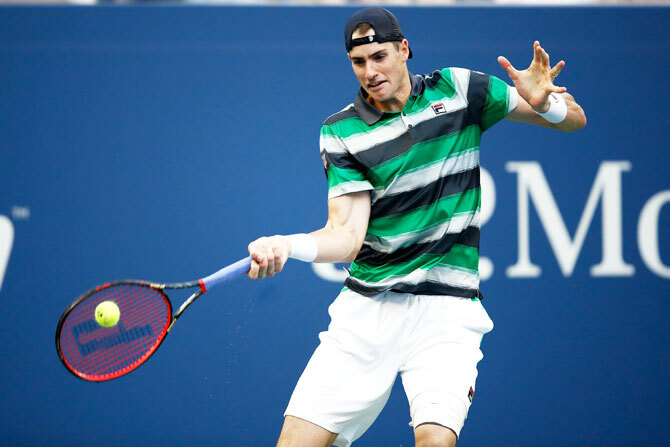 John Isner ground out yet another five-set win at the US Open on Sunday, beating Milos Raonic 3-6, 6-3, 6-4, 3-6, 6-2 to advance to the quarter-finals of his home Grand Slam for the second time. "This crowd kept me in it -- it was fantastic," Isner said in an on-court interview after another three hours of work against Raonic. "This is why us tennis players train so hard ... to be in a match like this in front of a crowd like this." "There are some matches I've played where I only just rely on my serve. But I think more times than not this year I've shown some other ability," he said. "That comes from just being relaxed on the court. "It's not a product of more reps and more practice. The mental part of the game, being able to free up on the tennis court is much easier said than done." "I've definitely struggled with him specifically," said the Canadian. "There are other guys that are big servers that I've played better against. For me, I think the biggest thing is there are not guys that make me hit returns above my shoulders. That's sort of the hardest part for me."